I was leading a workshop at Maitrea in Prague, on a cobbled street just off Old Town Square, in February. Snow was falling outside. A thoughtful man named David told us he wanted to understand the illness of a family member. This was on his mind as he left our first evening session. I had suggested to everyone in our lively group that they should experiment with “putting a question to the world.” This meant formulating a theme on which they wanted guidance and carrying it with them, in the mind, as they went out into the external environment. The game would then be to receive the first unusual, unexpected thing that turned up in their field of perception in the world around them as a possible response from the oracle of the world. 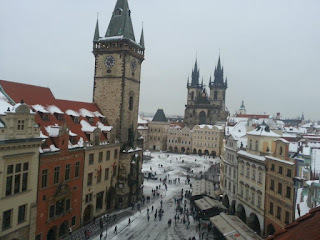 David walked down the snowy street and turned left into Old Town Square. He saw an amazing scene unfolding in front of him. A headless bear was being pursued across the square by a pack of animals of various kinds. The headless bear was a man in a bear outfit, missing the head. As David tried to grasp the nature of this astonishing theater, he saw a fox being chased by a second pack of animals. When he shared the episode with us in our morning session, we all felt that the world had staged a special production, a dream theater, just for him. There was a fine run of coincidence at work. On my first evening in Prague, I had taken a table at a restaurant in front of the astrological clock in the Old Town Hall, waiting for six o’clock to chime and the procession of sainted figures to emerge from behind their shutters. I heard these words in English wafting from a nearby table: “It was the time when the fox drank water with the bears.” Though tempted to get up and ask the speaker for the context, I was content to let the mystery words hover in the air. They had the quality of an enchanted children’s story, full of wonder, and also gave me a sense of confirmation the animal powers would be very active with my workshop group in Prague, in harmonious ways, as indeed proved to be the case. During my first drumming on the first evening of the Prague workshop, I saw Bear and Fox standing on either side of a great tree, urging me to invite the group to enter the tree without delay, through a door among the roots, to seek consultation with the animal doctors in the way that had proved wonderfully successful in my workshop in Utrecht the previous weekend. Now I proceeded to discuss what the theater of the headless bear and the running fox would mean to me if I were seeking guidance on someone’s illness and the way to healing. I suggested that our dreamer might want to help his sick relative find ways to connect with Bear and Fox, perhaps by growing a story for him that would carry the energy. We talked about the Bear as a great medicine animal and about the cleverness of Fox as an animal that must be able both to hunt and to hide and that has been — for me — an impeccable guide to ancestral matters, which can carry the code for contemporary complaints and also their cure. I have noticed that people who are attacking bears in their dreams, or running away from them, are often avoiding their personal medicine. 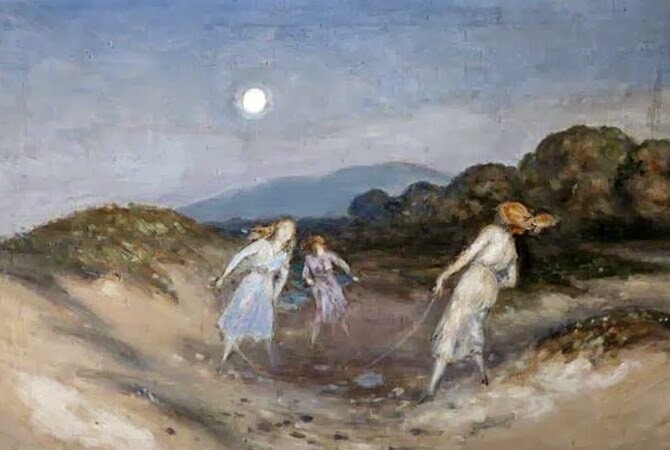 At night, in dreams, we sometimes feel that a company of players and scriptwriters are staging productions to dramatize certain themes in our lives. The case of the headless bear confirmed what Shakespeare taught us: that all the world’s a stage, as well. 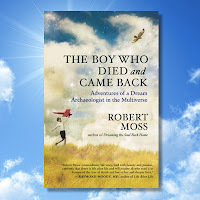 Text adapted from The Boy Who Died and CameBack by Robert Moss. Published by New World Library. 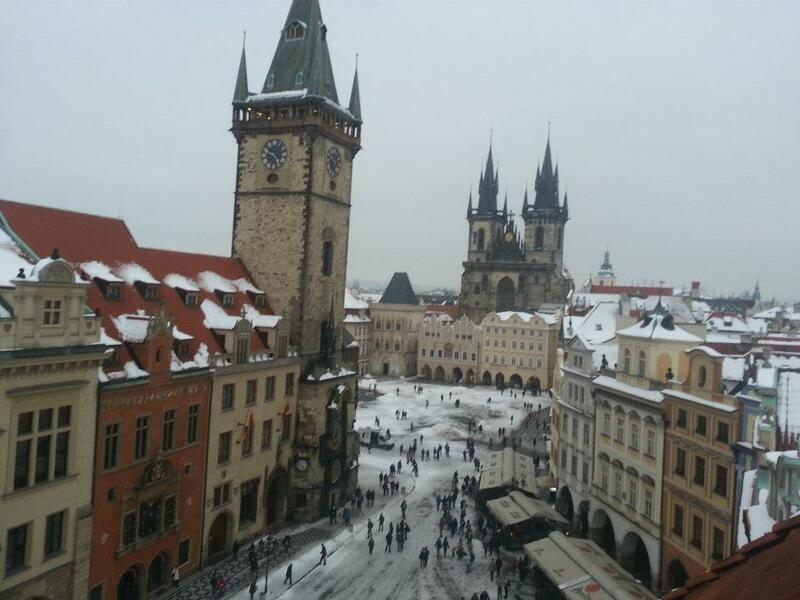 Photo of Old Town Prague by RM. February 2013. Dream incubation has been a preferred way of seeking life direction in most human cultures as far back as we can trace. If you believe that, in seeking dream guidance, you are approaching a sacred source, then you will probably use some form of prayer or ritual as you seek help from that power. to read what is and and will be. If we have a big request, it is important to ask nicely. Aelius Aristides, an ancient Greek orator who walked very close to his god – Asklepios, the patron of dream healing – used to phrase his requests as follows: “Lord, I ask for the guidance (or health, or resources) my body requires to serve the purposes of the soul.” A human who asks that way might hope to engage the support of a power behind the scenes. The journey to a special place – the shrine of a saint, the tomb of an ancestor, a sacred mountain, an ancient tree – has often been part of a full-dress dream incubation. But in our hurried everyday lives, we can make all of this simple. Are you in need of healing, life direction or a solution to a problem? Are you willing to turn to a source beyond the obvious ones? Then approach the night as a place of possible encounter with a power that can answer your questions and help to heal your life. This is a version of an ancient invocation used in the temples of Asklepios, the god of dream healing. But no personal name is mentioned. So in offering you these words I am not inviting you to sign up for an ancient religion (whether or not that might be a good idea) but to turn towards deeper sources of healing and counsel than are available in ordinary life. You can speak or sing these words in the privacy of your own space, on your way to dreaming. You may find it helpful to do something to make your sleeping area more of a sacred place; for example, by foregoing sugar and alcohol for a few hours before sleep, by lighting a candle, and/or by using a special fragrance or placing a little mugwort sachet under your pillow. I would like guidance on my job interview. I ask for healing for my friend in hospital. I would like to see what will happen during my trip. I want to prep for the exam. Should I date the guy I met yesterday? You will want to be ready to catch whatever your dreams give you whenever you wake. This may involve lingering in the half-dream state after you surface from deeper sleep; this in-between state is one in which important messages often come through. If you remember only a small piece from a dream, but your feelings are strong and your sense of direction is clear, you are in luck. Sometimes it is easier to read a plain answer from a short, uncomplicated dream vignette than from a rambling epic, and the energy that comes with a dream is often more important than the specific information it contains. If you can’t initially see any connection between the dream your record and the intention that preceded it, be patient and learn to use some detective skills. It’s possible that your dream producers decided to give you something they think you should see rather than what you asked for. All the same, it is always worth playing the game of trying to find a link between the dream and the intention. For example, I once sought dream guidance on a personal health issue. In my dream, I was racing a car at high speed up through one of those multi-tiered indoor parking lots, slowing to a stop at a fancy penthouse restaurant where a famous publisher was waiting to host me for lunch. I woke feeling marvelous. The dream might seem to have little or no obvious connection with my intention, but I could see a health advisory in my wild ride up through the vertical parking lot, and an Rx in my meeting with the publisher, since for me creative writing that results in publication has always been healing. Here is my account of a bigger personal experience, which came when I set the intention of opening myself to a source of sacred healing during the night. -I stretch out of the bed. Immediately, I see an enormous serpent. It is gray-blue, and could be twenty feet long. I see the dark slits of its pupils, quite close to me, in a head larger than my own. I do not feel fear, but there is a strong sense of the uncanny, the presence of a transpersonal other. I feel this is the Asklepian serpent, a power mastered for healing. The form of the god appears less distinctly, like a living statue. Also the form of a large dog with tall pointy ears. 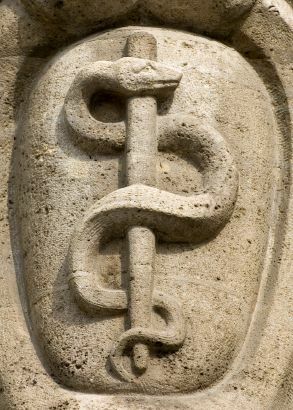 - I resolve to let the snake enter my energy field and do anything required for healing. I begin to experience movements of the serpent energy through my chakras, starting at the root center and moving upwards. There are moments of gentle physical pressure or constriction as it passes through some of my energy centers – of slight pressure in the heart, of a little constriction at the throat. The movement ceases to flow smoothly at the vision center, where I had been experiencing pressure and blurring. An experimental probe, not pushing too hard. The movement loops down and back, returning to try again. I invoke Light as well, and feel the presence and blessing of a being of Light I know well. I feel a process of healing has been initiated, and will be played out over time, if I allow it to be. - All of this has been enacted in the liminal state of wake-dream the French used to call dorveille, which is where much of the work of Asklepian healing (I believe) took place, Now I let myself drift towards sleep, hoping for the gift of further healing in the dreamspace. That gift came in the form of an amazing and energizing sleep dream that connected my personal healing to new creative endeavors, writing new books and bringing them to the world. If you try that, be ready for some shocks! Our dream producers see our needs and issues from a different angle than we do. 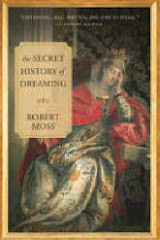 Please see chapter 4 of my book The Secret History of Dreaming for a full account of Asklepian dream incubation. Dreams bring us images and energy for healing and revitalizing our lives. These gifts may be delivered through the vehicle of a song. My Celtic ancestors lay in tomb-like spaces in the dark, sometimes with heavy stones on their bellies, hoping for the gift of awen - poetic inspiration - to burst through in song. For the Temiar-Senoi people of the Malaysian rainforest, the greatest gift of a dream is the kind of song they call a norng. The word literally means a "roadway". The dream song can open a road between the worlds. It can also help to open a path through the thickets and obstacles of everyday life. In the Mohawk language, which my dreams required me to study, the word for song is karenna, which literally means "I am putting forth my power." In my book Dreamways of the Iroquois, I describe the experience of a Mohawk grandmother of the Turtle Clan who received a healing song in a dream and was able to transfer its energy to a whole circle. As she sang, the veils between the worlds thinned. The whole group became vividly aware of the presence of spirits of the land, including Great Turtle, a form of the teacher of the Deep in the Iroquoian tradition. I have been gifted with many songs in my dreams. Sometimes I have to reenter a dream in order to capture all of the words and elements. 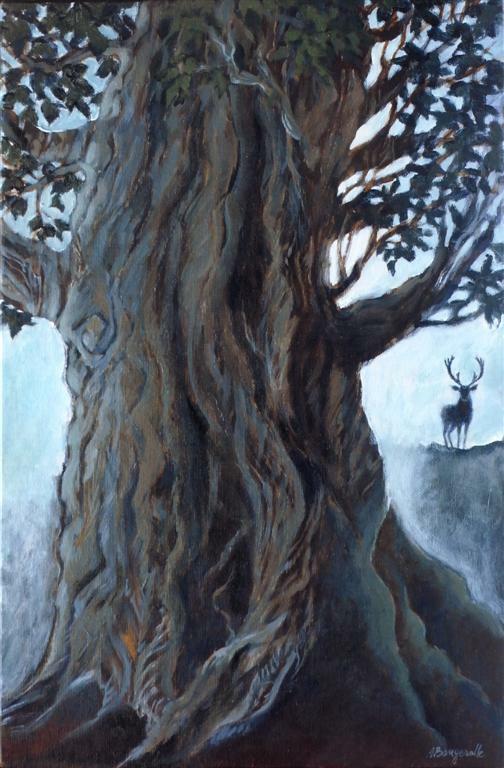 Once I awakened from a dream in which I was bouncing across lush grass towards an immense tree that resembled a beech. I knew, in the dream, that secrets of life were waiting for me in a world below the roots of that tree. And that there was an entry price. To enter the gate of this tree, I must bring a song. When I rose from my dream, I had the music of this song humming in my mind, but not the words. Urgent to move with the dream, I called a close friend who has traveled with me in the way of the shamans over many years. "Can you come over at once? I need you to drum for me." She jumped in her car and was with me in less than an hour. The way to the world of our Great Mother Earth now opened to me, through the roots of a world tree. I was healed and nourished in her generous embrace. I found specific guidance, for myself and others, in a kind of creative cave that opened to me, within her realm. This is a place to which I have returned, again and again, to restore my inner compass and replenish my energy. The dream song may be a wing song, a song that can help you journey beyond the body, into other worlds, at any time you choose. My dreams have given me many songs of this kind, some of which I share with the circles I lead to power our group shamanic adventures. Anxious that I might lose the tune, I phoned two friends and sang it to them over the line. One made a recording; the other had her musician husband listen in and write down the notes. We have sung this song in many of the adventures I have led since the dream, including our shamanic gathering up on a mountain in the New York Adirondacks last weekend. In the Celtic way, we sing to call lost spirit home. In some of the old tales, a part of soul that has left the body is up in a tree, in the form or a bird, and must be charmed by the power of the right song into returning to the heart and the body of the person. In recent gatherings, I have encouraged participants to go to a special tree, with a special song, and call back whatever parts of their spirit may need to come into their bodies and their current lives - a child part lost when the world seemed very cruel, a counterpart personality from another time, an aspect of a greater Self, a bright shining winged soul. But what if you have no song? Sometimes it will be gifted to you. We have journeyed on wings borrowed from the old ones - songs of the Highland and Islands, and of W.B.Yeats, chants from Africa and Native America, through Baltic dainas and Romanian doinas, rhythms of the orishas. We also share the fresh songs that come through members of our dreaming family. On the way to a workshop on Celtic Dreaming that I was leading, my friend Wanda Burch shared a marvelous song for soul healing that had come to her. She readily agreed to invite the group to use this when they traveled to the special tree to call spirit back home. It worked like a charm then, and has been charming spirits ever since. * The full text is in Here, Everything Is Dreaming: Poems and Stories. Picture: Path of magic at Mosswood Hollow, where I lead many of my retreats in North America. to see what is behind us and around us. crowning each other with light. I wrote this invocation many years ago, on a mountain in the Northeast where I lead advanced gatherings of shamanic dreamers. It is a very special place, where we draw on the deep fires of Earth, and the spirits of the land, and where the healing energy of the Deer is very strong. The symbolism of the antlers is vitally important in every tradition that knows the cervid family. The antlers represent spiritual connection; they rise above the physical body into the spirit realm. They also embody the power of regeneration; the bones die and fall away and grow back stronger and greater than before. I often hear dreams from adults that sound like the products of a child's imagination. One dreamer is menaced by giants. She runs but can't get away - until Superman swoops down to rescue her. Another dreamer is entertained by a strange composite animal, a cross between a jolly pink pig and a hairless dog, with a strip of carpet instead of a tail. In such dreams, buildings and people around the dreamer often seem vastly larger than in regular life, as adults and cities might appear from the perspective of a young child. At the same time, the dreamer may find she has the ability to make herself greatly bigger or smaller, like Alice with the "Drink Me" bottles. I wonder whether such child-like dreams really are the dreams of the child within the dreamer. They may be returning memories of dreams in early life. They may also be a direct link to the inner child, providing a chance to bring more of her energy, joy and imagination into current life. They may even be a bridge to connect with the child in her Now time, which is past history for the adult except when released from the constraints of linear time, as in dreaming. I have given happy examples thus far, but the dreams of the child may of course be filled with challenge and drenched in fear. Those menacing giants may represent abusive adults and authority figures the child can't handle, and Superman is not always available. Yet when the bridge to the child in her own Now time is open, we can slip across it, to offer support and mentoring that may be desperately needed. We can help to provide the heroes our child selves want to be dreaming of. I know this: we can travel across time, and we can play mentor and counselor to a younger self, or receive help and guidance from a wiser older self. At the very least, when we reach to that younger self, we can offer the assurance that however much he is suffering, he or she will make it through. We dream dreams of the child, and the child dreams of us.